Here at Southern Oaks, there is a huge fucus on education, and for some, that goes beyond riding lessons and horse ownership. There are some students, much like myself, that want to immerse themselves into the equine world, and learn as much as they can about the horse! For those that want to become the "Complete Equestrian", there are working student opportunities to develop into that well rounded individual. Southern Oaks has been a stepping stone for many equine professionals and professional riders. These opportunities are unpaid internships, and should be thought of as the ultimate privilege for those passionate, dedicated individuals who encompass the spirit of the rider. An apprentice is a working student whom has riding skill working with green or difficult horses, and is looking to gain knowledge and experience. A working student gets the opportunity to work with a variety of different types of horses, and gain valuable experience and knowledge to build a foundation upon. An apprentice rider is a student whom desires a career as an equine professional, or wishes to build new skills to better their riding abilities and understanding of the training scale. Anything from groundwork, lunging, grooming, clipping, tacking, untacking, roundpen work, riding, trailer loading, etc. Student will be guided by head trainer through the training process when available, a minimum of one hour per day of instruction is to be expected. Most sessions with training horses are expected to be supervised. Some sessions may be repeats which may not require supervision. Student is responsible for following directions as head trainer desires. Invaluable knowledge into the training scale. Lessons daily on how to handle, train, and ride a variety of horses at varying stages of training. Head trainer has trained hundreds of different types and levels of horses, and has the skill to help a budding professional gain insight into the industry. Trainers gain skills and knowledge from each individual animal that they train, and having the opportunity to ride a variety of breeds and stages of training is invaluable information. While an unpaid internship, an apprentice trainer will benefit from hands-on experience, and the sharing of knowledge and structured instruction from head trainer. An apprentice rider is responsible for their own safety, and while measures are taken to ensure positive, safe training for both the student and horse, not every scenario can be foreseen. All apprentice riders and working students must sign a complete release of liability. An apprentice rider is asked NOT to offer opinions to clients or owners of training horses, and refer ALL inquires to head trainer. Positive reflection on each animal is expected. Each animal may end up being for sale at some point in its career, and negative comments may reflect poorly on sale prospects. Sensitivity is required when working with animals owned by others. An apprentice rider must understand that training methods are done for the most positive outcome for the horse, and are always done in the horses best interest. Positive language and professional behavior is expected at all times. This is an opportunity and a privilege given by the head trainer, and this must always be kept in mind. A schedule is expected to be kept and adhered to. A minimum of 6 months of riding lessons at Southern Oaks is required before application. Some exceptions may be given depending on performance history and references. This is a work for lessons exchange, made available only to very dedicated, hard working, capable individuals whom are not skilled enough to ride as an apprentice trainer, but still would like to experience a working stable while enhancing their own riding skills. Students are expected to work 5 hours per lesson received, and receive lessons in group settings on school horses. 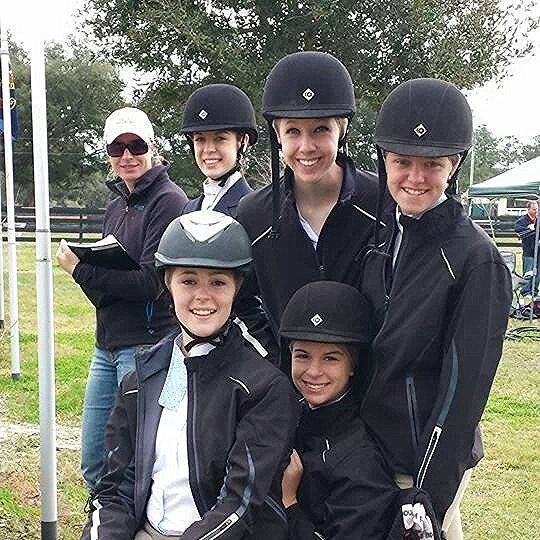 Student must have 6 months of riding lessons at Southern Oaks before applying, be over the age of 16, and must sign a standard waiver for both riding and work activities.